Luxury cars are built to last and provide you with an unparalleled ride. As with other vehicles, they will usually display symptoms when one of their parts requires attention. According to luxury auto repair specialists, there are noticeable signs of imminent brake failure you should be wary of, as neglecting to address them may compromise your safety. Steering Wheel Vibration: Even some of the most expensive car models available have brake systems that are prone to warping. If you’re experiencing noticeable steering wheel vibration when you engage the pedal, this is a sure sign the front rotor has incurred physical damage that is preventing it from performing optimally. 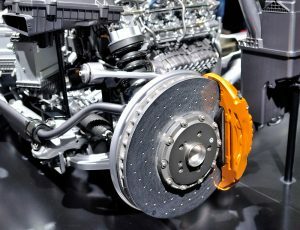 Screeching or Grinding Noises: Luxury cars such as the Lexus come equipped with ceramic brake pads which are designed to operate with zero noise emission. 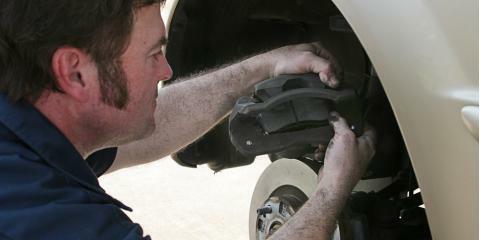 Grinding or screeching sounds are audible warning signs that brake pads are worn down and require immediate replacement. Sticky Brake Pedals: Another problematic sign is what experts call sticky brakes. This refers to a delay in brake response that usually occurs when the mechanical or ceramic brake pads are no longer serviceable. Again, immediate replacement is an absolute necessity along with a thorough examination of the entire system. Luxury cars require special attention you can only get from someone with extensive knowledge of handling such vehicles. Leaving your brake system in the hands of an inexperienced mechanic can cause more damage than you think. Find seasoned luxury auto repair mechanics at Kudos Import Auto Service & Performance. They provide the top luxury car maintenance services in all of Saint Charles, MO. Book an appointment by calling (636) 448-7145. You may also visit their website to learn about their paintless dent repair, import brake service, and other auto maintenance solutions.